By working out, your state of health is supposed to improve. This might not always be true since a new study highlights the fact that working out in a polluted environment can damage your health. If you want to stay in shape, you should not go for a long walk on traffic-laden streets. This may have a negative impact on your state of health. A group of UK researchers developed a new study to analyze the benefits of exercising in people over the age of 60. They have compared the impact on people’s health when running or walking along polluted urban streets with those when walking in parks. It is obvious that people walking in the park were able to breathe cleaner air than those walking on polluted streets. When exercising in a polluted environment, the benefits become negligible when it comes to respiratory and heart health. The new study was published on December 5th in the journal The Lancet. The results of the research indicate that the short-term exposure to traffic pollution no longer triggers cardiorespiratory benefits when exercising. Dr. Fan Chung is a professor of respiratory medicine at Imperial College London, and he also led this study. Dr. Chung indicates that the airways open up when we walk, and our blood vessels dilate. These effects can even last for a few days after we have exercised. However, when you run or walk in a polluted environment, the beneficial effects are decreased. Unfortunately, in polluted areas, you tend to breathe in even more when exercising and the particles and toxic gases get faster to your lungs. The team of researchers aims to reveal the effects of pollution on people who already suffer from lung and heart diseases. Thus, they have looked at people over the age of 60. In order to develop a fair comparison, researchers also included a healthy control group in the study. However, researchers revealed a severe impact of air pollution on every person included in the study. The team of scientists has recruited 119 adults over the age of 60, dividing them into three different groups. One group included healthy people, the second people living with heart diseases and the third group people with a chronic obstructive pulmonary disease. Then, researchers randomly asked participants to walk for two hours on London’s Oxford Street. This is one of the major roads in London, being a shopping district. Some of the participants needed to walk in the open spaces of the Hyde Park. Along the Oxford Street, traffic is restricted, only allowing taxis and buses. These generally run on diesel fuel. The polluted atmosphere affects people health, especially those suffering from heart diseases. At only five days into the new year, London breached air pollution limits for 2017. The results of the study revealed that the participants walking in Hyde Park showed some improvements in lung function and capacity. Furthermore, they also proved to have diminished stiffness of the arteries for over 26 hours after exercising. Generally, this represents a risk factor for cardiovascular disease. Nevertheless, the participants who walked along Oxford Street did not show too many improvements in their state of health. Researchers spotted a minor increase in lung capacity and also a rise in arterial stiffness. The arterial stiffness can be related to exposure to ultrafine particles from diesel exhaust and black carbon soot. Dr. Chung argues that when exercising in a polluted area, the positive effects are a lot smaller than usual. People suffering from chronic obstructive pulmonary disease indicate indicated that the polluted air along the Oxford Street had a terrible effect on their state of health. These people indicated that their airways were narrowing and the arteries stiffened. Furthermore, they have also reported shortness of breath, wheezing, sputum and coughing. Hence, specialists’ new advice is that people should choose to exercise indoors in case they cannot find a green place in a park where they could breathe some fresh air. Researchers argue that their study has not looked at high levels of pollution like we see in China and India. It is about pollution everyone gets on a normal day, when walking through the city. Dr. Chung highlights the fact that walking through the city can only reveal the terrible effects of walking since air pollution causes more damages. Hence, people suffering from lung or heart diseases should definitely avoid walking in polluted areas. Even if the study was conducted in London, it surely has global relevance. 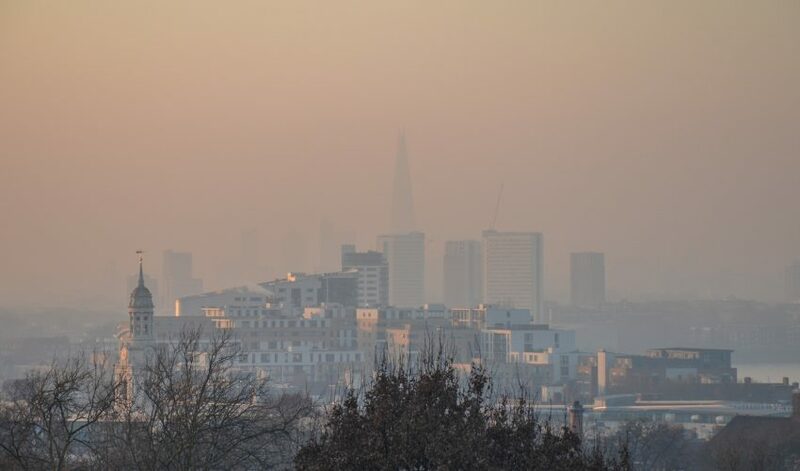 There are numerous cities across the globe which have similar pollution levels as London. Furthermore, these pieces of advice would apply to numerous North American and European cities which register similar levels of air pollution. Unfortunately, in Asia, pollution levels are one or two orders of magnitude higher. There, scientists should also consider developing a study relying on their levels of pollution. Nevertheless, some other recent studies have underlined the benefits of exercising even if this happens in polluted areas. Physical activity is still beneficial even in the face of high pollution levels. Research developed by some teams of researchers at the Centre for Diet and Activity research at the University of Cambridge indicates that the benefits of exercising outweighs the negative effects of air pollution. Basically, that study proved exactly what the study from London revealed. The lead author of that research, Marko Tainio, argued that their research shows that the health benefits of traveling and exercising always outweigh the dangerous effects of pollution. He claimed that even in Delhi, where the level of air pollution is extremely high, the people would need to cycle more than five times per week in order for pollution to have a negative impact on their health. Tainio’s team study only looked at the short-term impacts of exercising in a polluted environment. On the other hand, Dr. Chung’s team study analyzed the long-term effects of living and walking in cities with average pollution levels. The level of carbon dioxide and methane gas in the atmosphere increases every day, not only affecting those with pulmonary or heart diseases, but also triggering climate change effects.